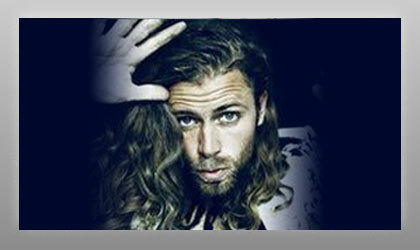 Tim Schou's music has the introvert haunting soulfulness of Jeff Buckley, the positive playfulness of Ed Sheeran and the vigorous drive of Shawn Mendes. Aside from those qualities, he's organic and honest in his music and the stories that he tells, which he pulls from his life as a worldwide traveling recording artist. Throughout his career, Tim has worked with a number of successful songwriters and producers, including Ella Henderson (Ghost), Jasper Leak (Sia), Thomas Troelsen (Justin Bieber), Kiyanu Kim (Miley Cyrus) and the production team Hitimpulse (Ellie Goulding). Tim co-wrote the song "Kiss You Goodbye," performed by Anton Haagman (Universal Sweden), which reached Platinum status. Tim has recently co-wrote and supplied vocals to Felix Jaehn's "Millionaire" as well as Tim3Bomb's "Magic," which is currently rising high on the Russian charts. Tim has even toured and supported a number of established artists such as LP, Timeflies, Simple Plan and Morcheeba. Tim returns with the brand new track "Run Run Run Run Run," which is packed with solid electro beats, catchy melodies and a lot of drive.